Helps you pass the California motorcycle-theory test. Is there a better alternative to CA Motorcycle Permit Test? 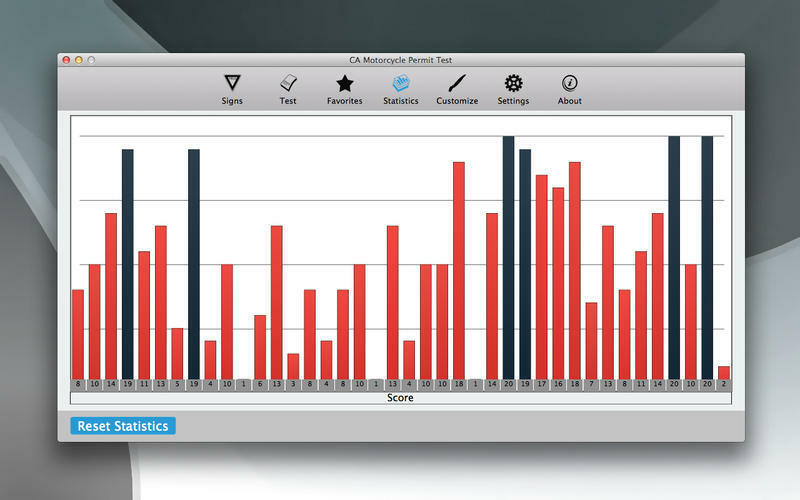 Is CA Motorcycle Permit Test really the best app in Teaching Tools category? 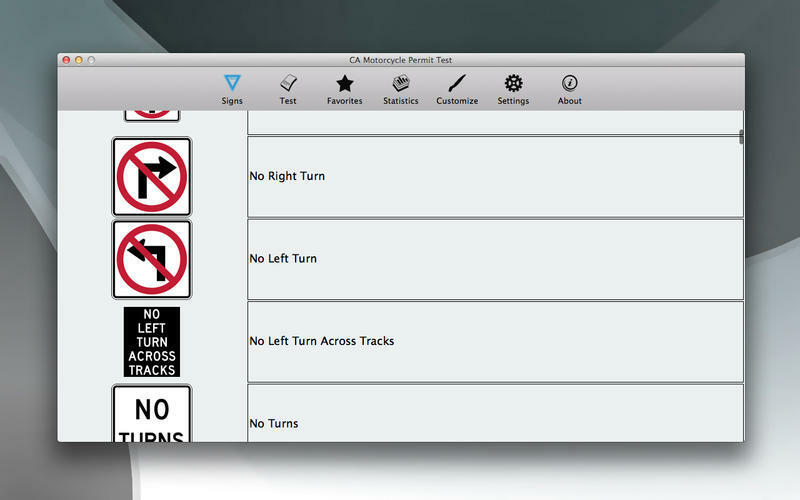 Will CA Motorcycle Permit Test work good on macOS 10.13.4? CA Motorcycle Permit Test provides hundreds of questions to help you pass California motorcycle theory test. Also learn road signs. 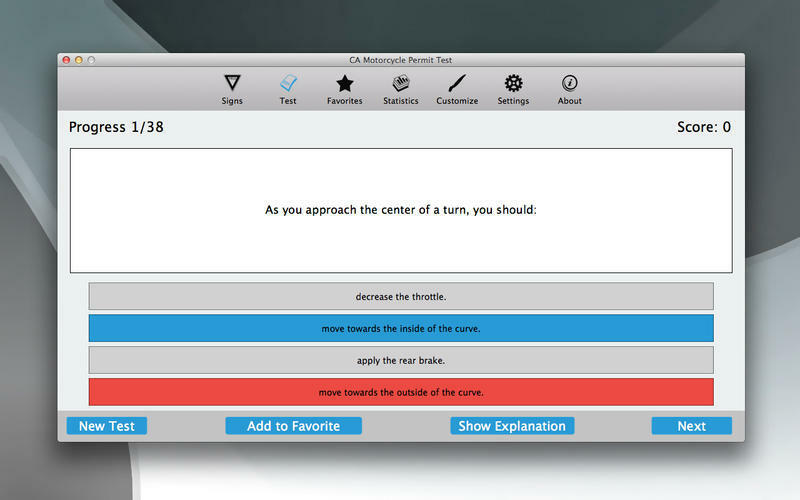 Our test questions will be an essential study tool for those who are taking their driver's license exam in the near future. The more you practice, the greater would be the chances to clear the permit exam in one go. Favorite mode help you to bookmark hard questions for later access. CA Motorcycle Permit Test needs a review. Be the first to review this app and get the discussion started! CA Motorcycle Permit Test needs a rating. Be the first to rate this app and get the discussion started! Many wallpapers help you to customize your app. 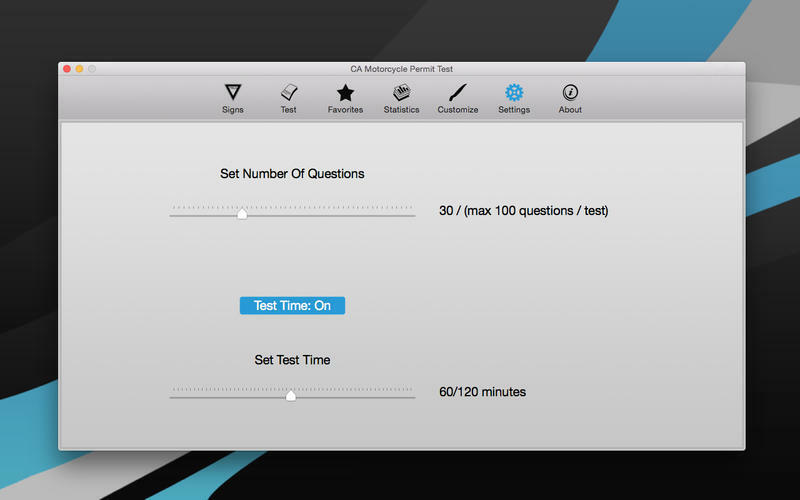 Simulates real exam experience with timer, if you want and scoring report. Can change the number of questions.